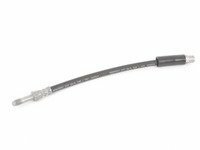 If you have had a stock brake hose blow out during braking or get a hole due to abrasion or dry rot, ECS Tuning has your perfect replacement. 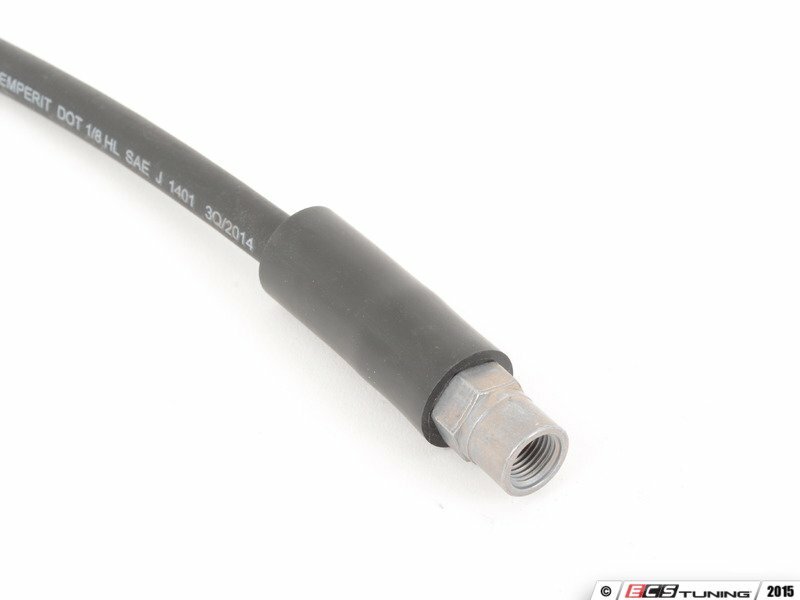 These are completely stock brake hoses made to fit your vehicle exactly. Ends have the same thread pitch as the stock unit and length is perfect. Designed to perform just like stock, this line will get your brakes working perfectly again. 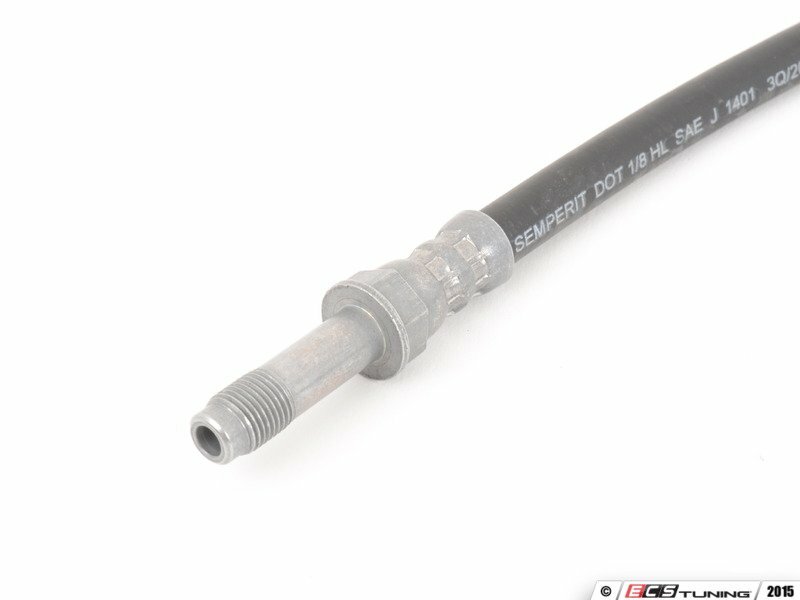 A high quality replacement for any damaged or swelled hose. If you are replacing your brake lines, you will need to get some fluid. While bleeding the replacement lines, make sure to put in quality, system compatible fluid to give your vehicle the best in braking.